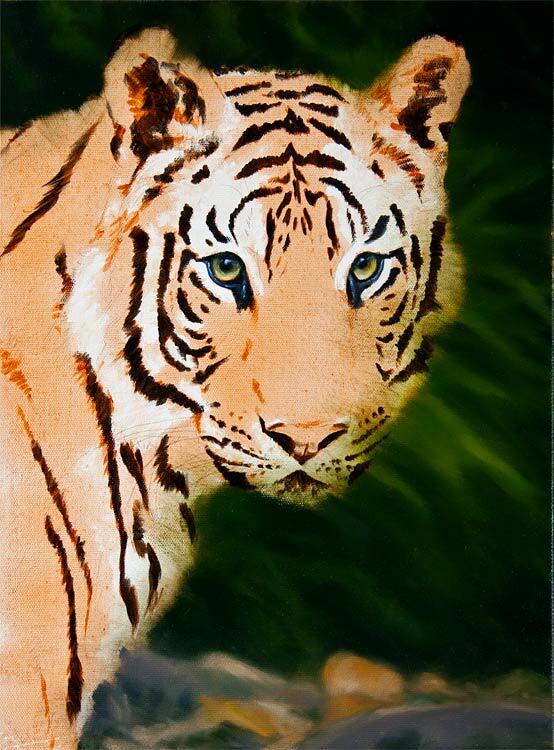 As I am waiting for the Lion to dry I thought it would be nice to make a start on the 1st of my Tiger portraits. I have painted in a background (it will be added to later) and also began the eyes. Notice that I have allowed the background to overlay the Tiger quite a bit. The reason for this is that with subsequent layers I will paint the Tiger OVER the background, this will avoid the cut out look you see on many amateur paintings. 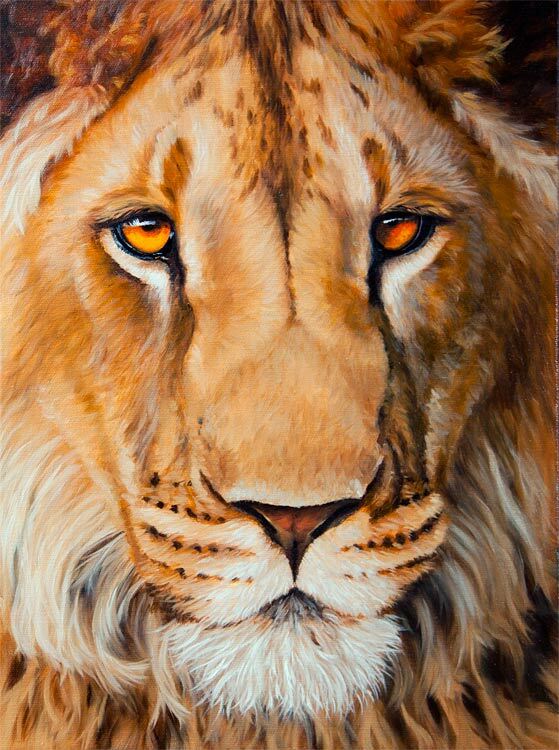 Latest development of the Lion painting.